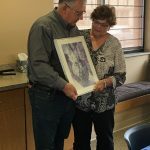 LCSB honored Carol Patterson with a retirement lunch on August 25th. Carol brought an incredible amount of joy and knowledge to Lyon County State Bank when she joined our team in 2014. 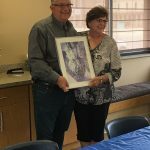 Staff members organized a potluck to celebrate her amazing career in the banking industry that spanned more than 40 years!